The Lexus LFA is expected to participate in this year’s D1 Grand Prix in Japan. 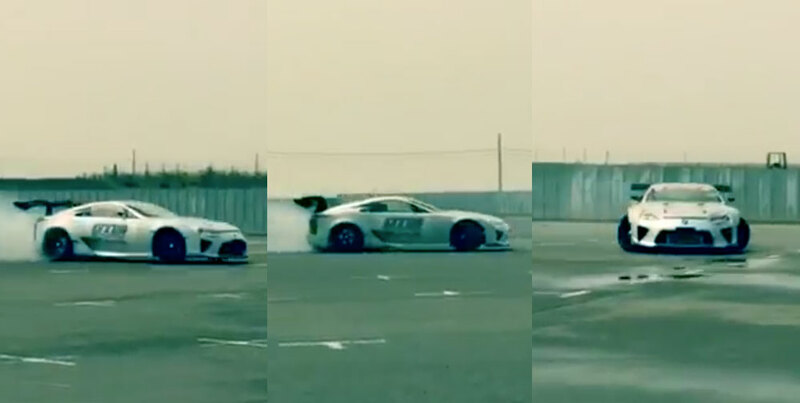 Notice any difference in the sound of the LFA engine? That’s no surprise, because the glorious V10 has been….replaced by a…TRD Nascar V8. That’s it. Words have failed me. Tragic Bronson: Maybe someone should make LFA replicas so that the real ones don't get destroyed.